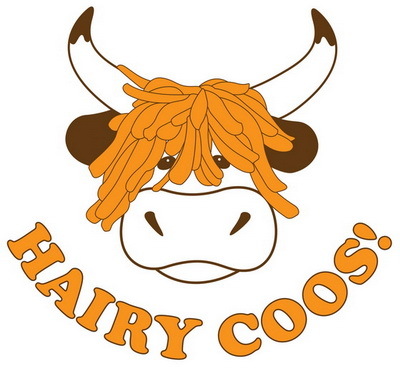 Erin House | Hairy Coos ! Wearing Tam o' Shanters, plaid scarves and unique "horn-warmers", and modelling a stylish range of arran jumpers, these are the smartest Highland Cattle ever ! Sculpted by Janet Miller,each Hairy Coo is made and painted by hand giving it its own individual quirky character that's guaranteed to lift your moo'd every day.